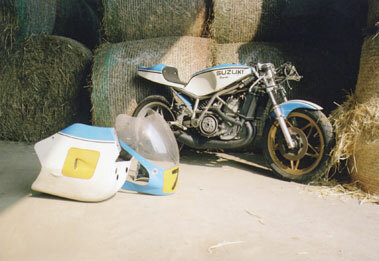 According to Giorgio Sarti the SB1 came about as a direct request from Suzuki Italy for a machine which could be marketed through the Suzuki sales network. Produced between 1976 and 1980 the model utilised the twin cylinder TR500 liquid cooled engine with a dry clutch and six speed gearbox housed in an open cradle frame with Ceriani 35mm forks and monoshock rear suspension system. 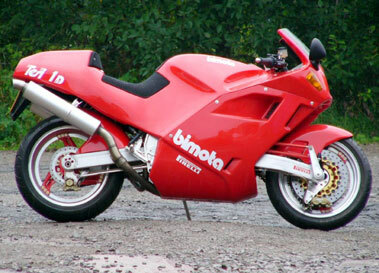 Brembo brakes and Speedline wheels manufactured to Bimota's design were employed on the machine which weighed 121kg dry. 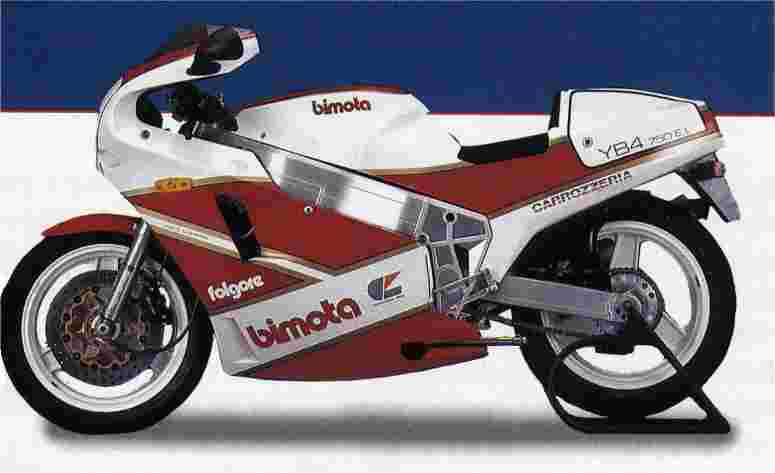 Following its introduction in 1976 the machine dominated the Italian junior national championships taking the title in 1976, 1977, 1978, 1979 and 1980. 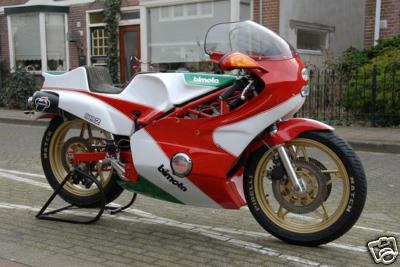 1979 Bimota SB2 860cc, 92 Bhp. Bimota begun life specialising in air conditioning and heating systems and were better than Ducati in their day. Massimo Tamburini designed the DB1 before moving to Ducati, where he created the 916. The Tesi was in development for seven years, during which time five prototypes were built. The model departed from conventional motorcycle design in respect of the suspension/steering arrangement which in turn resulted in an unusual frame design. Two u shaped aluminium fame members sandwiched the engine and provided mounting points for the front and rear swinging arms. The steering was effected by a hub centre system. The two elements negated the inherent problem with telescopic forks; that of the geometry changing as the forks compress. 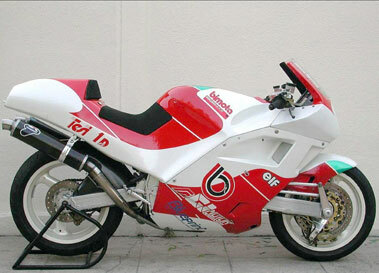 The first series of production machines, announced during 1990 utilised a Ducati 851 engine, however, after 127 of the first series were built a revised version became available using the newly introduced 904cc Ducati twin. Only 20 examples of the Tesi 1D 904 were produced before it was in turn superseded by the Tesi 1D SR in 1992. It should be noted the 1D 904 was originally typed the SR but this is not often used in order to prevent confusion between it and the 1D SR!